My favourite memory of Jalan Imbi is the ice-cream cake from Australian Confectionery. In the 1990s, when there were not many bakeries around, my father would buy me one — placed in a white Styrofoam box — to celebrate my birthday. My family used to frequent Sakura Restaurant nearby for dinner, or more often, savour the pork noodles at Win Heng Seng coffee shop for breakfast. Jalan Imbi was then a two-way street. Orignally known as Imby Road in English, the street is named after Sergeant Imby Seedin. Born around 1845, he joined the police force at the age of 16, before being appointed chief native warder four years later. In 1899, he bought a parcel at the junction of Jalan Imbi and Jalan Pudu — right across from his work place — and built himself a traditional Malay house. When the cart road that connected Imby’s house to Jalan Bukit Bintang was gravelled in 1905, the Street Naming Committee decided to name the road after him as his home was considered a landmark. Fast forward to 2018 and the former landmark has been replaced by the Metro Hotel. 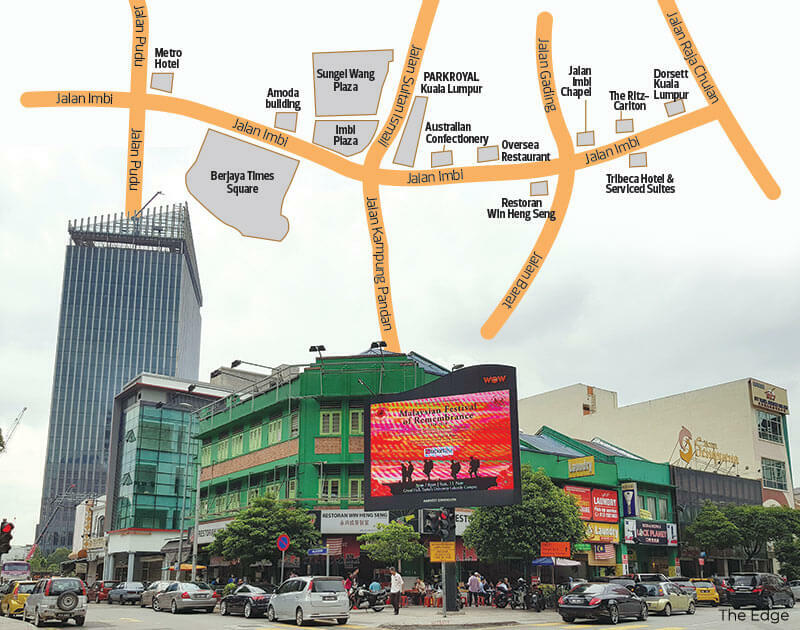 Jalan Imbi has remained a busy street all these years, thanks to its central location. It became a one-way street many years ago, and the area has seen drastic transformations. 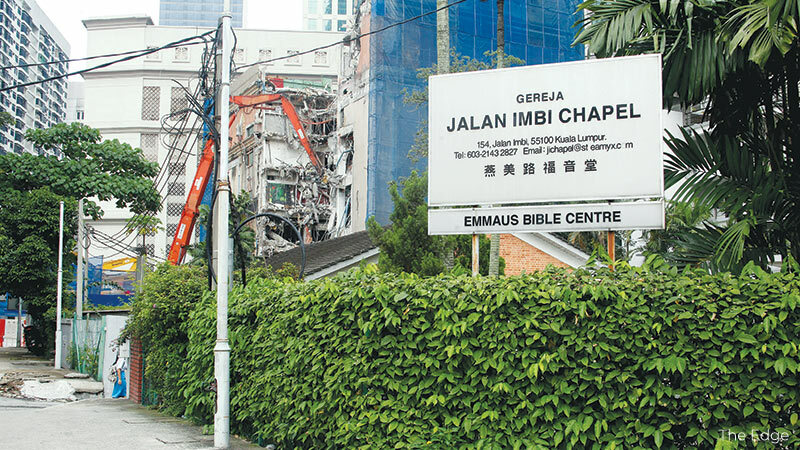 There are now a mix of new and old developments, with landmarks such as Oversea Restaurant and Jalan Imbi Chapel still located in their original spots. Australian Confectionery (not to be confused with the more modern Australian Cake House chain in the Klang Valley) and Win Heng Seng also still remain, and visiting them is like travelling back 20 years in time. Sakura Restaurant though has closed down and the shoplot is unoccupied at present. There are also eateries, hair salons, laundrettes, clinics, courier service providers, travel agencies and budget accommodations. Some are new while others have been there for decades. Various international hospitality chains have built their hotels along the street. They include Dorsett Kuala Lumpur, The Ritz-Carlton Kuala Lumpur and Tribeca Hotel & Serviced Suites. Next to The Ritz-Carlton Kuala Lumpur is Capri by Fraser, which is currently under construction. TA Global has a 3.12-acre parcel at the junction of Jalan Imbi and Jalan Bukit Bintang. It is said that the tallest residential development in the capital at 80 storeys will be built there and called Nova Square. The site is currently an open-air car park. At the other end of Jalan Imbi are mostly modern office buildings, hotels and shopping malls. One of the landmarks is Berjaya Times Square — located at the junction of Jalan Imbi and Jalan Pudu — which claims to be one of the largest projects undertaken in a single phase in the world. With 2.1 million sq ft of retail space and more than 1,000 shops, Berjaya Times Square also has two 46-storey serviceds suite tower. 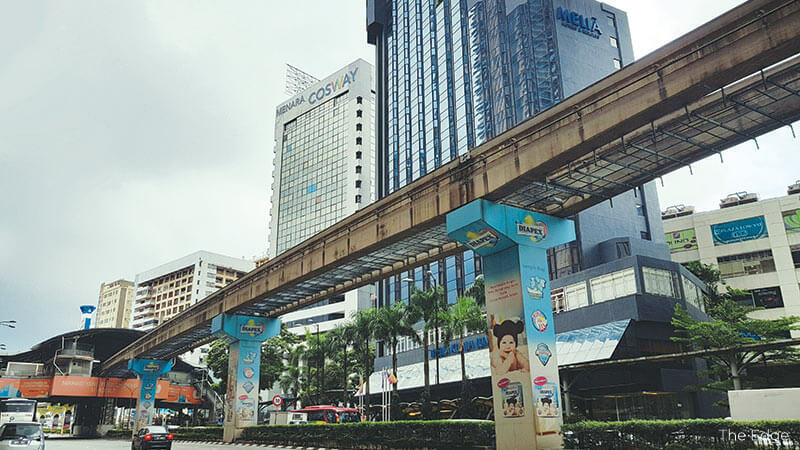 It is linked to the Imbi Monorail station. Metro Homes Sdn Bhd director See Kok Loong says demand for commercial properties in Jalan Imbi is mainly linked to tourists and food. “Properties there are in high demand but supply is limited, except via redevelopments. 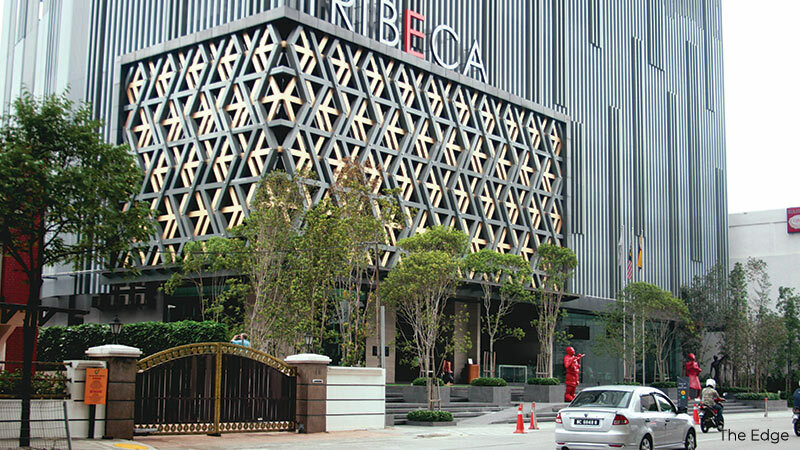 The occupancy rate is high now because of its proximity to several major shopping malls such as Berjaya Times Square, Sungei Wang Plaza and Pavilion Kuala Lumpur,” he adds. See says the shoplots there have been priced at RM5 million to RM6 million each over the last few years. See is positive about the future of Jalan Imbi due to the influx of tourists and the many budget accommodations. “Furthermore, Jalan Imbi is located between Bukit Bintang and the Tun Razak Exchange (TRX). With the completion of more phases in TRX, we believe Jalan Imbi will see more changes in the future,” he says.